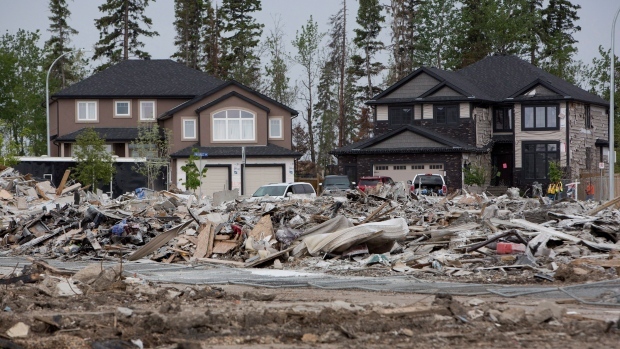 With thousands of displaced Fort McMurray residents returning home this week, some health experts remain concerned about safety after arsenic was detected in the ash left over by the wildfire. Arsenic is a dangerous toxin that can lead to various types of cancer if inhaled or ingested in large quantities, said health risk assessment expert Stephanie Douma. In Fort McMurray, the toxin is most likely to be present in the air and in tap water. But that doesn’t necessarily mean the city isn’t safe to return to, she told CTV News Channel on Wednesday. “The question is how much and what grain size… It’s the hazard that should be looked into,” said Douma, founder of Terrapetratox, a medical geology company. Officials warned about 2,000 residents ahead of Wednesday’s re-entry that their homes were not safe to return to because of the toxic ash, but say the recovery process is otherwise on track. The city has also issued a boil-water advisory for returning residents. Douma said residents should follow the advisory to make sure that their water is free of harmful bacteria, but boiling would make any arsenic present in the water even more concentrated. Those concerned about the toxin, she said, should drink bottled water until further tests confirm tap water is safe. Douma commended the province for its efforts to reduce the amount of dust in the air by spraying a thick, non-toxic substance in certain areas. She said inhaling large quantities of fine dust can lead to an increased risk of heart attack and stroke, regardless of what chemicals it may contain. “The fact that they’re putting on something that dampens that material down, so you’re not breathing it in, sounds like a really good idea,” Douma said. 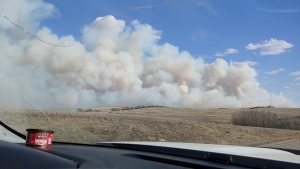 About 15,000 evacuees returned to the fire-damaged city on Wednesday as part of a phased re-entry plan put in place by the province. The second phase of re-entry is set to begin on Thursday.